Who Feels Like Watching A Cute Baby Laugh? I Do! What is the best remedy for when it is grey, gloomy and cold outside? Or when it is just another boring Tuesday? Or when you realize there is still another 7 months until the release of the next Star Wars movie? WATCHING VIDEOS OF A CUTE BABY LAUGHING OF COURSE! For some reason last night while playing in his Fisher Price Step N Play, Lil’ G-Man decided that the mic (rattle) was the funniest thing he has ever seen. 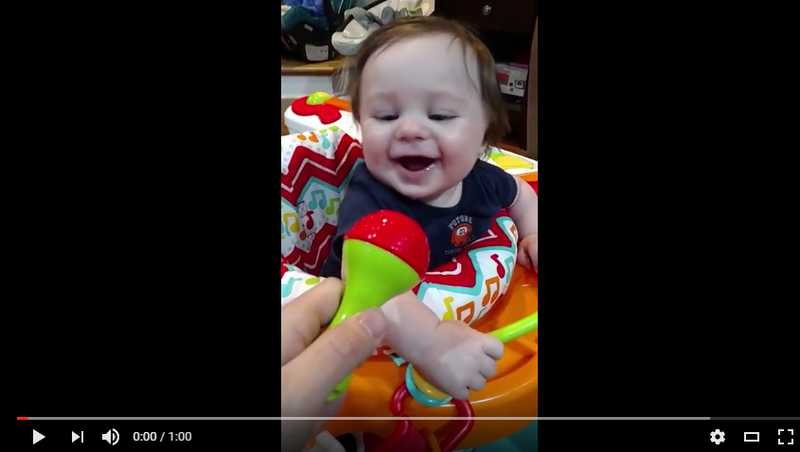 Side Note: For a neat experiment, have your baby watch videos of other babies laughing. It is pretty darn cute! Next Star Trek: Discovery Beams Up It’s New Captain!